Goodheart is one of the high current dive sites where large species of fish are not uncommon. 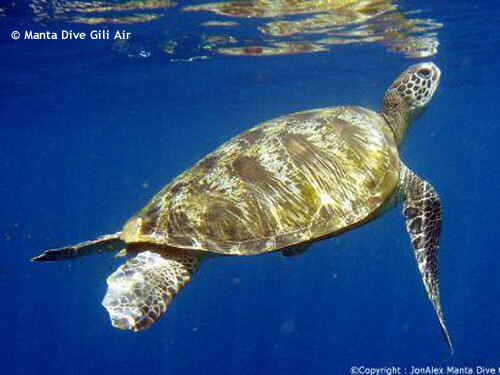 Goodheart is usually one of the best drift dives around the Gilis. Sometimes we just dive this for the fun of the speed of the current! But Goodheart is also a chance to see some things not seen so often on other dives sites. There are large barrel corals and meadows of "broccoli" corals. You also have the chance to see Dog Tooth Tuna, large groupers, and sometimes frog fish here. It is also a good site for the Bump Head Parrot Fish that frequent the Gilis especially around full moon.